Its the Special Details that make a difference! What makes the Espresso experience at Bravo Rocco Italian Cafe Special? 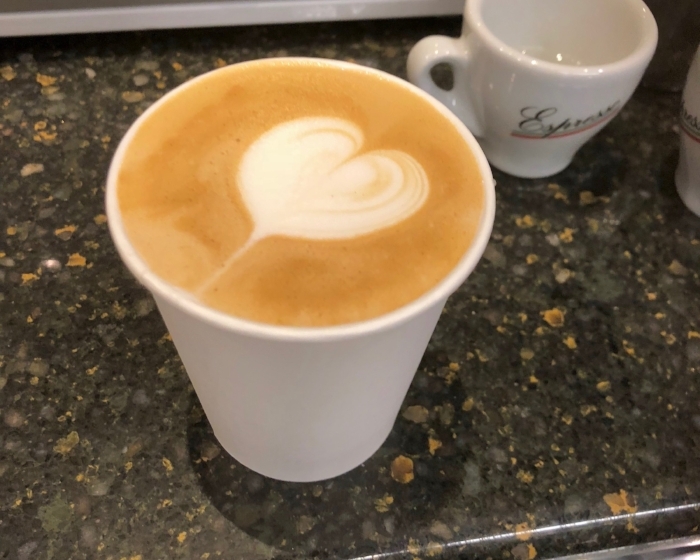 Here at Bravo Rocco Italian Cafe, we want to approach coffee and espresso like an artist would approach their work- paying attention to every detail to ensure the best result. We do not just simply push a button and watch your coffee pour out. Our Baristas are trained to follow specific and traditional processes for crafting each of our specialty drinks. With the help of our local vendor, Bremo Beans, we imported a beautiful San Remo Espresso machine from Italy. With each espresso order, we take the time to grind our exclusive blend of beans, measured perfectly for each cup, then allow a true drip that enhances the flavor of the coffee. We pride ourselves on bringing the Italian concept of espresso and Barista to you! With the help of our local roaster, Ironclad Coffee Roasters, we took the time to taste test various beans until we were satisfied with an exclusive blend that is rich in flavor and body. Our Special Exclusive Blend is sure to awaken your taste buds to a true coffee experience. What makes Latte Beverages at Bravo Rocco Italian Cafe Special? What makes our Brewed Decaffeinated Coffee at Bravo Rocco Italian Cafe Special? The natural process of decaffeination! We work closely with our partner, Ironclad Coffee Roasters, to ensure every process is done right. The coffee beans have been decaffeinated using the natural “Swiss Water Process,” a unique, natural process using the clear, pure water from the glaciers on the highest and most beautiful mountain in Mexico. The water contains the soluble components of the coffee beans which hold the elements of the flavor; thus, during the extraction of the caffeine, the beans maintain their original components. 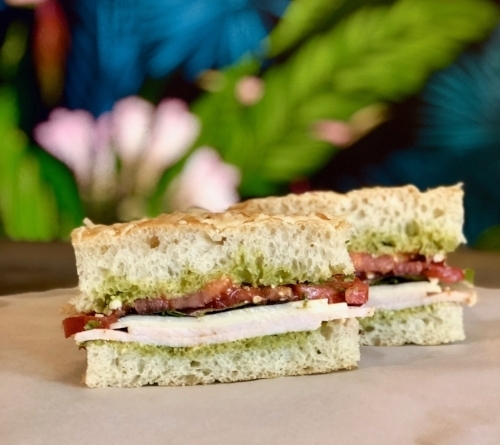 What makes our Sandwiches at Bravo Rocco Italian Cafe Special? It’s hard to go wrong with a classic sandwich, but have you ever had a homemade Italian sandwich? The simple and fresh ingredients are enough to fill you up without that overstuffed feeling to follow. We make all of our sandwiches with the same amount of love, care, and tradition that has been in our family for generations. What makes the Pastries and Baked goods at Bravo Rocco Italian Cafe Special? Our wonderful local bakeries of course! There is something for everyone! We are working with local partner, Pearls Cupcake Shoppe, to offer a variety of tasty treats. The gourmet confections are baked fresh daily, using the finest local ingredients. This includes Gluten Free and Vegan options!